James Conomos Lawyers, a boutique legal firm offering specialist expertise in commercial litigation and insolvency, was established by James Conomos in July 1992. Sometimes things go wrong – businesses fail and personal financial crises happen. When it happens to you, you want the right people on your side. We can help with both corporate and personal insolvency. This can be a difficult, confusing and worrying time for our clients. You can rely on us to provide a practical, appropriate and cost-effective resolution. 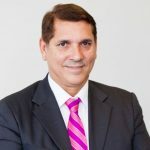 Our founding director, James Conomos, has served as Chairman of the Queensland Law Society Insolvency Committee and the Insolvency Committee of the Law Council of Australia. He is also a member of other committees involved in regulatory issues. Meaning our firm has its finger firmly on the pulse of insolvency law in Australia.